I always try to make mail and packages look as visually appealing as possible. I have a large collection of washi tape, stickers, and stamps that I use to decorate. 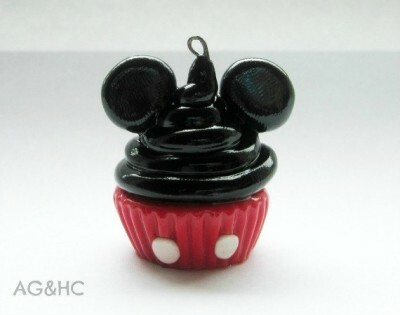 As soon as I saw on Lindsay Letter’s website the cupcake stamp I knew I would have to add the stamp to my collection! 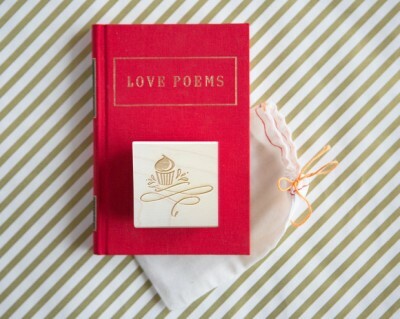 I love simple, yet detailed cupcake stamp that costs $25.00 and would be packaging some Valentine’s Day cupcakes! 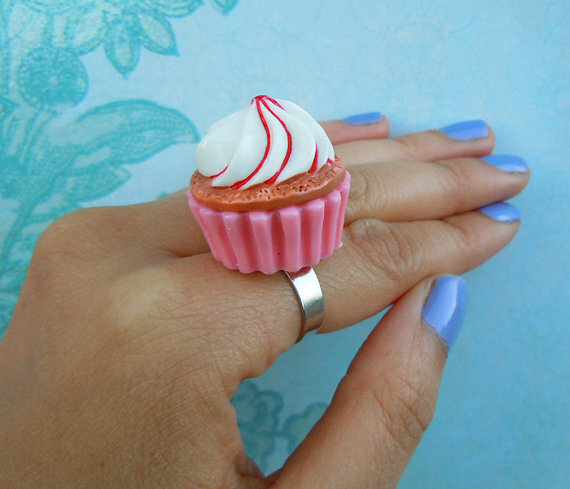 Looking for another easy holiday craft project to make with cupcake liners? 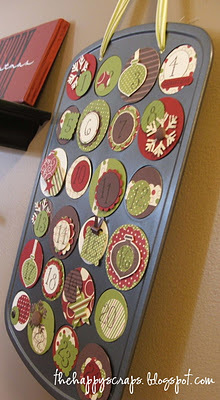 How about this cupcake garland shared by On a Whim. Just string various sizes and colors together and voila! A beautiful decoration to spruce up any tree, wall, or doorway. I love gifts where the packaging is part of the gift. 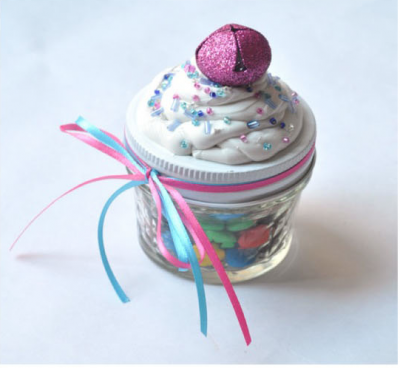 These DIY cupcake candy jars would make great gifts this holiday season and are fun way to jazz up your packaging! I think I would make toffee bark to put inside these little jars, what would you fill them with? 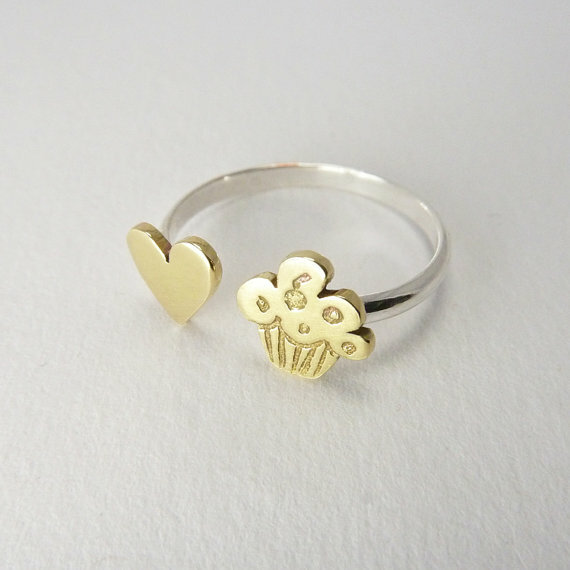 For instructions and more picture visit Club Chica Circle’s website. 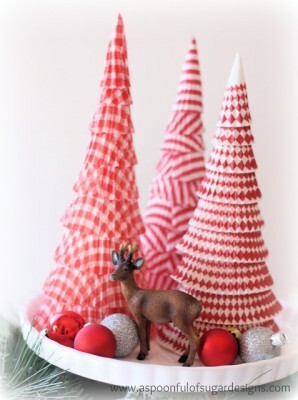 These paper christmas trees by A Spoonful of Sugar are a great easy craft to make to help decorate your home for the holidays. 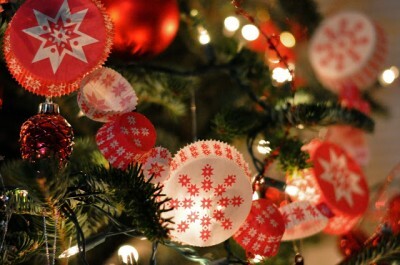 All you need are festive cupcake wrappers, a polystyrene cone, and sequin pins. For the directions visit A Spoonful of Sugar’s website.